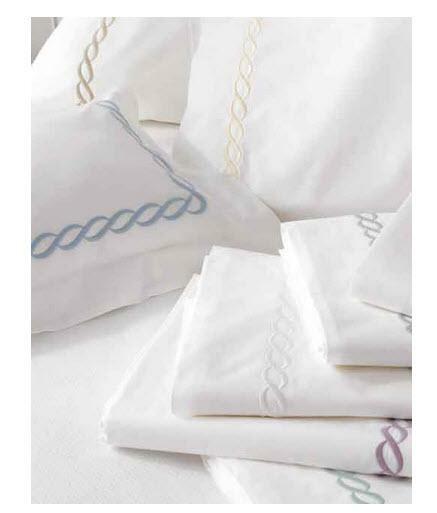 Matouk Classic Chain Monogrammed Bedding Collection heraldingg a classic Greek motif, the chain embroidery on white percale sheeting creates a distinctive look for a perfectly timeless bedding collection. 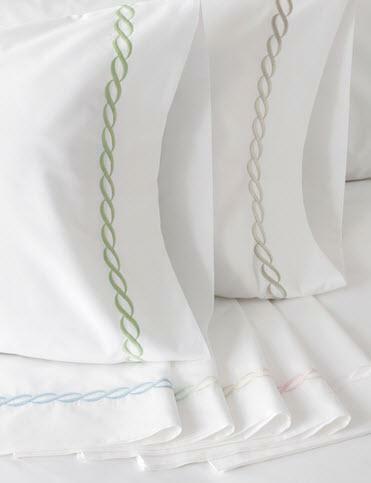 is100% long-staple cotton white percale with an embroidered chain in your choice of beautiful thread colors. These classic sheets are made in the USA and have a 350 Thread Count.